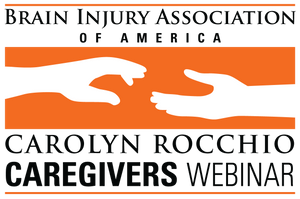 A Carolyn Rocchio Caregivers Webinar featuring featuring Michelle Wild, M.A., Co-Director Coastline Community College ABI Program, and Laurie Ehlhardt Powell, Ph.D., Research Associate Professor at University of Oregon, Center for Brain Injury Research and Training. Aired live at 3:00 PM EST on June 8, 2017. Problems with memory, organization, goal setting, and the steps necessary to make a decision are often impaired after brain injury. Join us as we explore common challenges with effective problem-solving as well as techniques, strategies, and apps that can help. To receive 1 ACBIS CEU Credit, please select "CD/Handout Package, CBIS/T Rate (Includes 1 CEU)" or "Recorded Webinar - Download Now! (Includes 1 CEU)" from the drop-down menu. Please note: the CD will be available for shipping 4-6 weeks after the webinar airs.